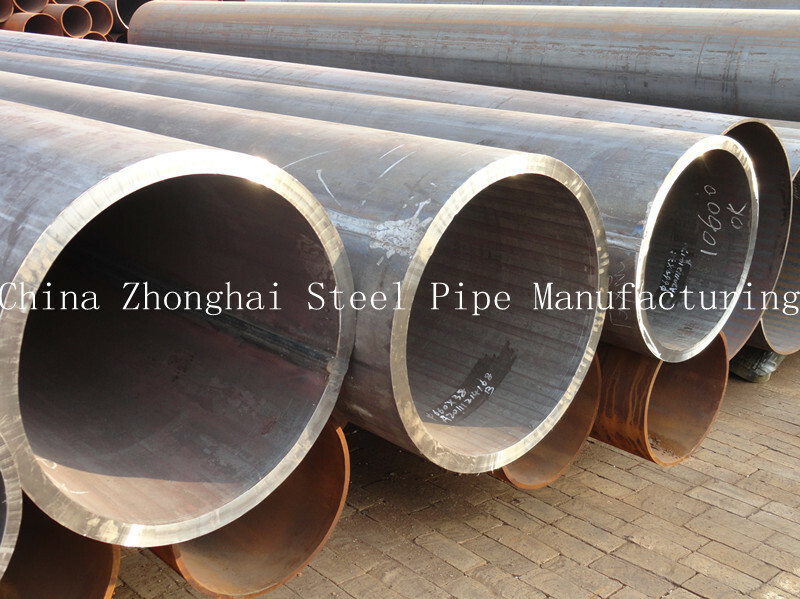 Based on the customers requirements we can manufacture Hot Rolled API 5L Erw Steel Pipe and tubes of different size and shape.We have a very large production capacity of erw pipes and tubes.ERW pipes and tubes are used in various engineering purposes, fencing, scaffolding, line pipes etc. Its available in lengths from single random to 120 feet,All ends is available with square ends or beveled for welding,threaded and coupled and victaulic grooved.Surface finish are available in black or bare,or with protective coatings. For pipes or tubes size 4 inch (10.2mm) OD and below,strip is fed into a set of forming rolls which consists of horizontal and vertical rollers so placed as to gradually from the flat strip in to a tube which is then allowed to pass the welding electrodes.The electrodes are copper disks connected to the secondary of a revolving transformer assembly. This entry was posted in ERW Steel Pipe. Bookmark the permalink.